OTTAWA -- Canada is considering all options, including providing financial aid to the auto industry, to cope with possible U.S. tariffs, a senior federal minister said, even as officials expressed doubt Washington would follow through with a threat to impose the punitive measures. 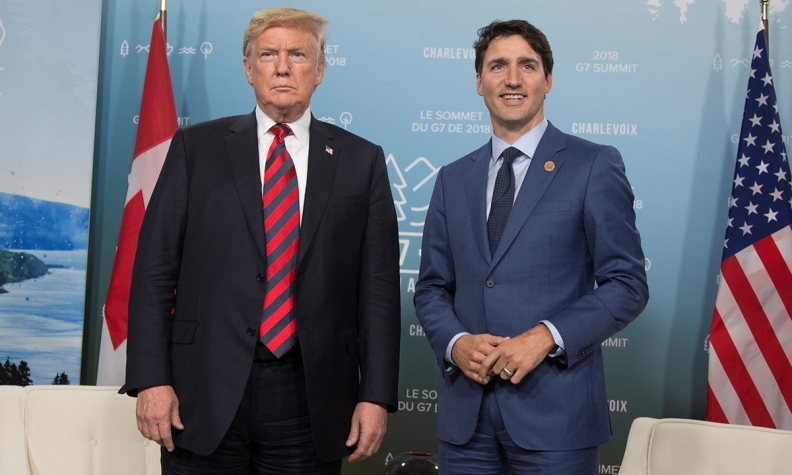 President Donald Trump last month said he might impose tariffs of up to 25 per cent on foreign-built automobiles, which could cause major economic damage to Canada and a heavily integrated North American industry. "We're examining all options ... our view is that if any such action is taken, we're going to support our workers," he said in an interview last week. "The message I would convey to the auto sector workers is -- we have your backs." The bill could run into billions of dollars, depending on the extent of government support for the industry, which represents about 500,000 direct and indirect jobs and contributes around $80 billion to the economy a year. Last year, Ottawa responded with a package worth $867 million after the United States imposed tariffs on softwood lumber exports. A Scotiabank analysis released Friday said steel and auto tariffs would knock growth in Canada down to 1.2 per cent in 2020 from 2.1 per cent in 2018, enough to force the Bank of Canada to cut rates. Trudeau's Liberals will need support from auto sector workers to win re-election in October 2019. "We'd need to have an aid package; that's for damn sure," said Jerry Dias, head of the influential Unifor private sector union, when asked about auto tariffs. Trudeau -- in remarks to Reuters and other media outlets -- said he thinks the auto tariffs threat is designed to gain leverage at talks to update the North American Free Trade Agreement (NAFTA) pact, where Canada and Mexico are resisting U.S. demands for major changes. One Canadian government source, noting that an automobile crosses the countries' shared border six or seven times before it is completed, suggested the threat was unworkable. "When would you impose the tariff - the first time? The fifth time? The seventh time?" asked the official, who asked to remain anonymous given the sensitivity of the situation.